Joomla and WordPress Tutorials from experts. If you're using your WordPress website as a business storefront, you already know you need a way for prospective customers to contact you with questions. An email form is a start — but many customers won't find a form buried in your contact options, and by the time you respond to an email, those that do may have moved on to purchase from a competitor. You're probably spending much of your day working on your business anyway, so wouldn't it be nice if you had a way talk to customers as soon as they realize they need information? Fortunately, WordPress live chat serves exactly that purpose! By installing a WordPress live chat plugin, you can add a small "chat" button to your website pages. Visitors can click the button to open a chat window and ask their question, at which point you'll receive an alert to reply through a browser console. You can also initiate chats with visitors who land on certain pages or have already spent a few minutes browsing your site. The experience is very similar to having a conversation over GChat or another instant messaging app — and broadly similar to having a salesperson available to assist customers browsing a physical store. There are dozens of live chat plugins available for WordPress, offering a wide variety of features and price points. Olark is one stable, affordable option that is easy to install and includes features like canned responses, targeting, and an offline message mode. 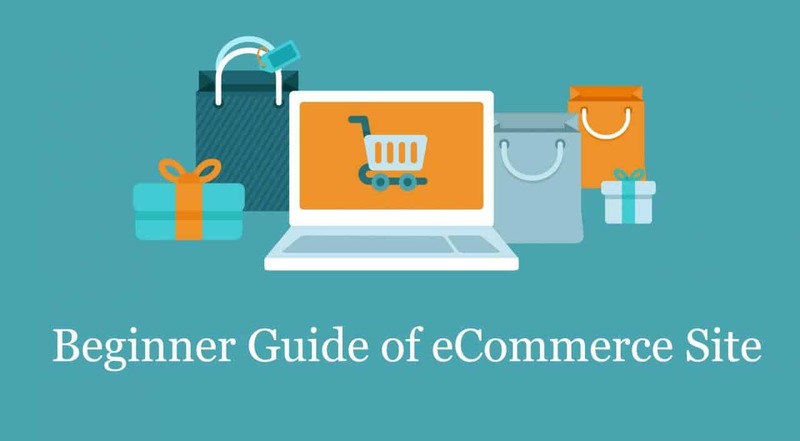 If you're running a WooCommerce store, Olark will also give you visibility into the contents of your visitors' shopping carts. Seeing your visitor's shopping cart can can help you save big sales and upsell customers on complementary products. ● Start a free trial on the Olark website. You'll have free access to all their features for 2 weeks, and you won't be charged if you cancel before the trial ends. ● Follow these instructions, to install the plugin. 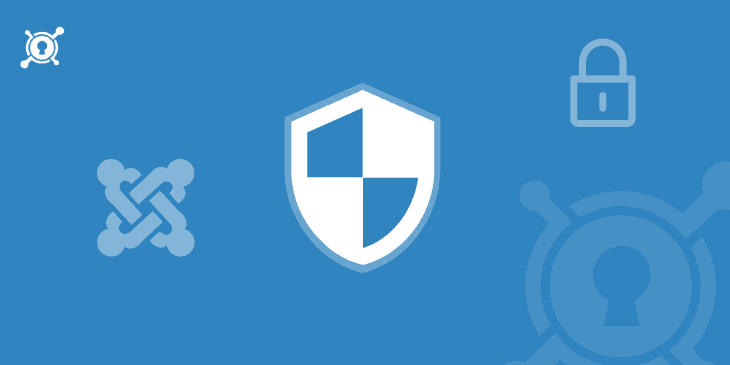 You'll need access to your WordPress admin interface, as well as your Olark site ID, which you'll find in your Olark dashboard. ● Navigate to the user view of your website and refresh the page — you should see your new chatbox! ● Chatbox visibility — if your website has a lot of traffic, use rules to control who sees the chatbox so you're not overwhelmed with too many chats. For example, you could show chat only on certain product pages, or only allow visitors to see the chat option after they've browsed for at least a few minutes. ● Canned responses — if you know you'll want to provide certain information to many visitors on chat (for example, a reminder of your shipping and return policies), store that information in a canned response so you can recall it quickly while chatting. ● Integrations — connect chat with other tools and systems you rely on, such as a helpdesk or CRM, so you can attach transcripts to customer records and access customer information during a chat. ● Agents and groups — add agent accounts for any colleagues who will be joining you on chat. If you'll have many agents with different specialties, you might find it helpful to group them so you can transfer chats to anyone in a particular group. ● Offline mode — you can't be online all the time, and you don't need to be! Just one or two conversations per day is enough to make a difference for your business. Decide whether you'll hide the chat button entirely when you're not available, or keep the button but replace the chatbox with an offline message form. Live chat is an incredibly powerful business tool, and if you're already using WordPress, adding it to your website only takes a few minutes. 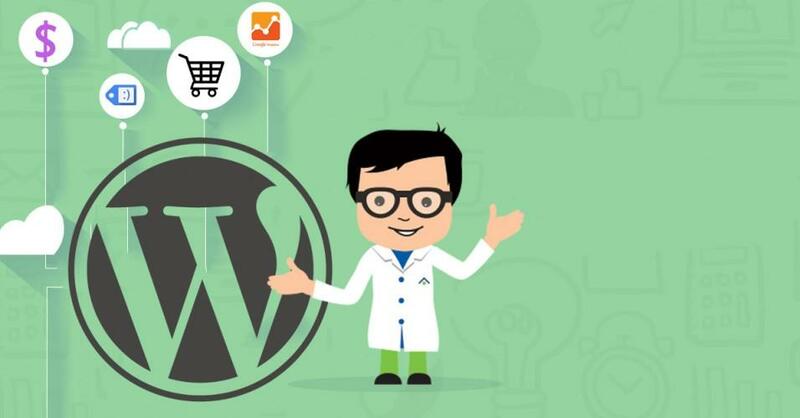 It's also supported with any WordPress themes, so you do not need to about integration. Get started with the steps above, and then add a comment if you have additional suggestions or advanced tips and tricks to share! Hello guys!! Hope you are already informed about the series post to show the Capabilities of quix. Currently we are running a campaign to make websites under 10 minutes with power of quix. This is the second post of the series and it will cover- simple approach to make a business website in 10 minutes. In previous post we have shown to create personal portfolio site within 10 minutes. Let's talk no more and start making own business site. You will need a couple of stuffs for this purpose. Find the list of required components from below. In very beginning you must download all the required files. Links are provided below, so just follow the link and download at once. Before you start it is important to unpublish any previous modules or else it might conflict with new modules. Now select on all modules and click on Unpublish. After Download completed you have to install the template and other components in regular process. Go to Extensions > Manage > Install and Upload Package File. Extensions > Templates > Styles. If you stuck installing quix or need any help you can always check the documentation​ and ask help from support team. It's time to create the homepage of the site. Quix has made page building so much easy, all you need to do is dragging and dropping. Go to Quix > Pages > New. Give title of your home page. Now lets add some contents to your empty page and make it look business ready. You can add as much as blocks you want. With Quix you have sky limit possibilities with you. With this 50+ elements, customize the page in your way and find the creativity inside you. For learning more you can check the video tutorial page. But for now I am adding About, What We Do, Team, Partner block in my home page one by one. Click ADD NEW SECTION button. Click on Add Columns and select the number of columns you want to take. I am taking one column. ​Now click on Add Elements. As soon as you click, a list of all quix element is loaded and you can add any element from the list. I am taking Slider Pro element. Choose the image, height and save. You can add more elements and customize yourself in the way you want with Quix. Add more sections / blocks using your preferred combination of quix elements. What We Do Section: Section Title, Text, Blurb, Image. Recent Work: Section Title, Filterable Gallery. Team : Section title, Person. About Us: Image, Section title, Text, Button. After putting all blocks together, it will look like above. Wait a minute. Your site doesn't looks like this? Don't worry, it is not necessary to look your site exactly like this. Find the creativity inside you and make the site even better. Each time you make a new section, an id for the section is automatically generated. You can use a specific id for reusing same section, but it is difficult to remember the auto generated id. When the section or block creation is finished take a note of the blocks, for which you want to create navigation menu. Scroll to section, on which you want to give label and click on purple colored settings icon. Now under Advanced tab give your preferred ID and save it. Similarly label all the sections you want to assign on the navigation menu. It's time to create the Navigation menu on top of the site. Navigation menu helps you to navigate to different sections and pages. Lets find how to create it. From Details tab select Menu Item Type as Quix > Page. On Select the page option choose your homepage. Check if the parent item is Menu Item Root. Now let's put the blocks under specific section. So when you will click on the menu item, it will take you to that specific section of the home page. From Details tab select Menu Item Type as System Links > URL. Now give the menu title. On the Link field, type the ID of the specific section that you want to place on the Menu. Do not forget to place "#" before your link. In this way assign all the sections with the specific menu. Footer can be customized with any elements or modules. It can be customized creatively. At here I am showing to create copyright information on the footer. ​First create a new section. Add the number of column. Take a text element and write your information. I have taken one column and text element. I hope you have quite got it- how easy to create a business site with quix. If you wish to build your own template then check out this post - A Complete Guide to Create Marketplace Ready Onepage Joomla Template. If you need any help or have any queries you can comment at below. Be smart, be Quix. Joomla is considered as one of the most popular Content Management System (CMS) for managing dynamic websites. English is set as its primary language initially, but it doesn't prevent you populating your site with content written in any other languages. Even it doesn't require creating Joomla multilanguage options to do so. However, a Joomla multilanguage website does have the ability to show its content in multiple languages, perhaps with triggering a switch or button. But the question is- if you find a Joomlawebsite where contents in different languages are placed here and there, does it make any sense to you, and will you deal with them? We know your answer- that's a big NO! Genuinely, it's not a good practice having contents in multiple languages without having a multilingual option. It greatly makes the visitors confused which leads the reason they leave forever. So, the notable factor's been found here- Multilingual Option but can you yet guess, why we're strongly mentioning that having Multilingual Option is beneficial for your site? Well, you might already know- a Joomla multilingual site is able to hold the traffic twice sometimes even more than a single language based site does. So naturally, the conversion rate in a Joomla multilanguage website is much higher than single language based one. Joomla previously couldn't let users creating multilanguage websites through its existing features. Sort of third-party extensions had to be used for doing so. But the stressful period is over now..
And the most exciting news is- Joomla currently is allowing users to create multilingual websites without using any 3rd party extensions and it's absolutely free of cost. In this tutorial, I'm going to show you- how to create a multilingual site with Joomla, through TEN simple and straightforward steps. Let's have a quick look at the index. This is the very first thing you need to do. Since English is set as the default language primarily, you have first to install your desired language to get started creating Joomla multilanguage option. Note that- a Joomla multilanguage website doesn't automatically translate the whole content itself. So, if you are planning to make your site supports in two different languages, you have to create entire contents in that two languages. Follow the below instruction of how you can install a new language. Click on Install Languages button at left-top. ​Use the Search button to find your preferred language and having found it, click on the Install button to install it. Now, it's a must to enable the installed language before you proceed. Find the approach below. Click on the Publish Item button pointed on the screenshot below to enable the just installed language. Make sure, the language plugins are enabled for the new language. You can enable language plugins from the plugin manager. Use the search box to find them quickly. Write language on the box and hit enter. Click publish button to enable both plugins. 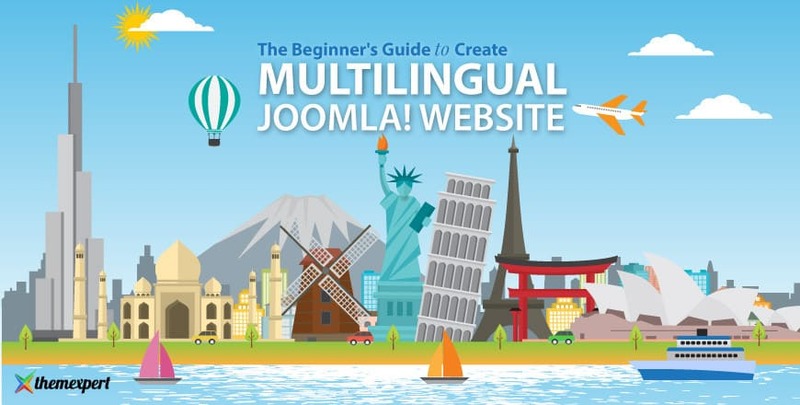 Now, you are ready to generate multilingual Joomla content. But before that, let's create two new categories; one is for English and the other is for your desired language. Spanish is my chosen language for instance. Give a category Title for Spanish language, select Spanish from the language drop-down menu and click Save & New. Give a category Title for English language, select English from the language drop-down menu and click Save & Close. Now, let's create articles for both Languages (English and Spanish). First let's create for English. ​Give the article title on the Title text box. ​Put the content on the editor area. Choose English from both the category drop-down as well as Language drop-down at the right side of the module. ​Click on Save & New button at the top-left. Now, let's create another article for Spanish language. Follow the same procedure above. Now, it's the time to create menus for each language. Let's create the menu for English language first. ​Go to Menus> Manage> Add New Menu. Give a menu name on the Title text box. Write the menu type on the ​Menu Type ​text box. Click on ​Save & New ​button to add menu for the ​Spanish ​language. Similarly, create another menu for the Spanish language. Till now, the newly created menus are empty as we haven't added any sub-menu items. So, let's create sub-menus under those two menus. First, I'm creating a sub-menu under the main menu- English. ​Give a sub-menu title on the Menu Title text box. ​Click on the select button next to the Menu Item Type option and a pop-up modal will appear. Click on the Select button next to the Select Article option and from the next pop-up modal, choose the article we previously created for English language. Click on Save & New to add another sub-menu. Unlikely the above instruction, create a sub-menu item for the main menu Spanish as well. Click on the star icon pointed on the below screenshot and it'll turn yellow in color, meaning- the English article page has successfully set as your default homepage for English menu. Same instruction to be followed in order to set default homepage for Spanish menu. Click on the Add a module for this menu button next to the English menu. From the next window, give a title on the Title field, select English from the Select Menu drop-down and define the module position from the Position drop-down at the right sidebar. ​Scroll-down the page and choose English from the language drop-down at the right-bottom. ​Click on Save & Close. The most recent version of Joomla is packed with Multilingual Associations feature, that allows you to perform translating contents from one place. Make sure, the Associations option is enabled. To check and enable the association option. On installed plugin list, find the System - Language Filter and click on it. Make sure the Associations option is enabled but if not, then toggle it to enable. Suppose, a visitor lands on an article page which is written in English. But unfortunately, he's from Spain. In that case, if you had previously been associated that article with its Spanish version, just by choosing the ​Joomla multilanguage option, the visitor can see the article in his native language. Let's see, how you can associate multiple articles with one another. ​Go to Content > Articles and open/edit the article. Under Associations tab, click on the Select button to choose the article to associate with, Save & Close. Now you're ready to utilize the Multilingual Associations Component if you have successfully done the above steps. ​Choose an article from the Select Item Type category filter and select a language from the Language box. Click on the fetched article from below then. Select the Targeted language from the right-top box to translate the article into. You can find two button at left-top to save the changes. Where- Save Reference button to save changes the first article and the Save Target button to save changes the second article. Close the window once you're done. Now, you have to create two different templates for two languages. The approach is absolutely simple- just duplicate your default template twice and name them accordingly for the two languages. To duplicate, select your default template and click on the Duplicate button at left-top. Save & Close the window. Now, just one last task left on your hand. A language switcher allows the visitors switching language anytime they want. You can find language switcher module on the modules list. ​Go to Extensions > Modules and hit on the New button from the left top. Find the Language Switcher module and click on it to go to its configuration mode. ​Give the module title on the Title field. ​Select the module position from the Position drop-down. ​Enable the option Use Drop-down if you want the language switcher as a drop-down menu. Save & Close to successfully save the switcher. See, a language switcher option has been successfully added to the site front-end which allows readers/ visitors to switch content language just by a single mouse-click. This is the most straightforward approach to convert a Joomla website into a Joomla multilanguage website within possibly the shortest time. If you find any of the above procedures critical, and fail to do by yourself, feel free to use the below comment section for letting us know. We would love to help you out. Search is the first thing we do when we enter into internet. That is why Google became the #1 company in tech world. Whether it's Google, Amazon, Facebook or tiny little website, we prefer to search first. This is the fastest way to explore a website content. At ThemeXpert we produce a lots of author and user driven contents. Blog, documentations, product sales pages are the example of author driven content ( by US ). Forum is the place where users ask us a question(tickets) and we answer them are example of user driven content. Our site built with several different components that store data to their own table and they has their own searching module. So, if you search something on forum you will never get content suggestion from our documentation and vice versa. We figure out the solution and we wanted to share with you so you can apply this to your Joomla website. We list down problem that our users facing so we could provide better solution. Search is not unified. Each component has it's own search system. Search is not fast enough. We could have create some plugin that index all the site content to Joomla smart search component and display the result with a module. That is the first things came to our mind but we keep exploring for better solution. We wanted to off-load the Joomla smart search system from our site and make it really fast. 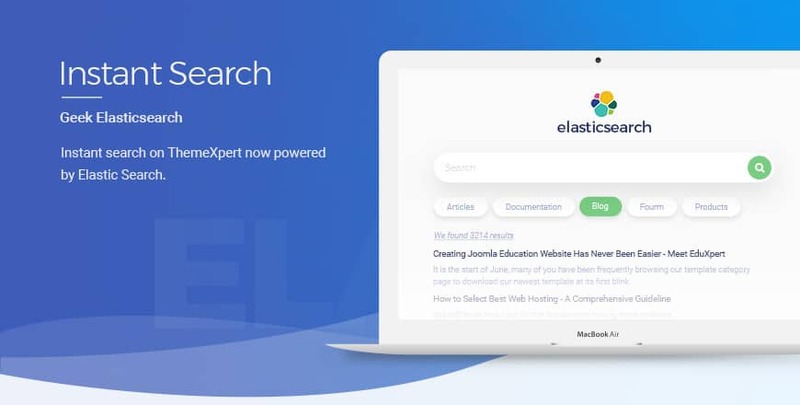 Turns out, Elastic Search is 'the most powerful and fastest' Joomla search extension on the planet. Which is based on Joomla ajax search, and it is a definitive choice for our requirements. Then we search for a Joomla integration and surprisingly Joomla Geek already built a component to do all the heavy lifting for you. We created an Amazon Elastic Search Service instance and integrated it with Geek ElasticSearch Component. They have extensive documentation for everything and excellent support. To search with any keyword in our website, you need to go to our site and will find a Joomla search module icon at the top, just right after the main navigation menu. By clicking on it, an elegant pop-up modal window will open up that lets you put your keywords on the certain text box and you will find a search button next to the text box. Either you can use that button to search or even you need not press any button after putting your desire keyword on the text field, you'll find the result in less than a microsecond. This Joomla search extension comes with a nifty user interface that nobody has a bit chance to be confused about. The main searching module consists of an empty search box and a button right beside that. There are a couple of filterable categories those can be chosen to get the exact result. That feature makes the Joomla search extension more fruitful and ensures the most flexible user experience. This amazing Joomla search module can instantly give you back the result in a twinkle of an eye just by searching with any keyword you want. The mechanism of this Joomla search plugin is so powerful that it compares the keywords with all the existing contents and returns only the contents that match the keywords and the whole procedure consumes less than even a single second. 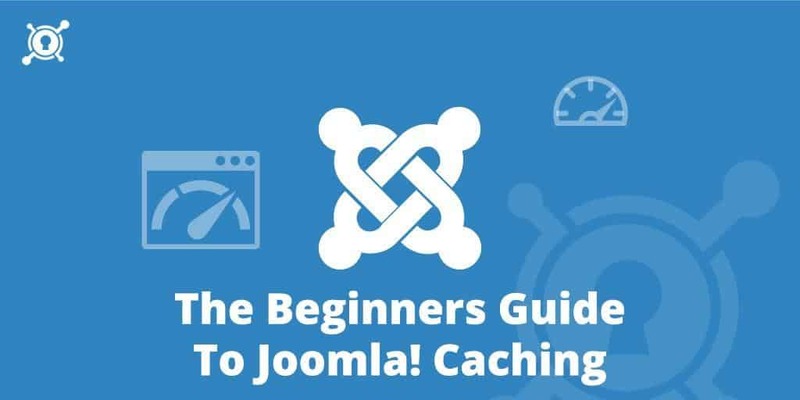 This Joomla search module lets you search by filtering with categories that will help you to find your desired content faster than ever before. Even if there is no contents exist for the keyword you provide, this Joomla smart search extension will politely show you that there is no result found for the keyword. ElasticSearch is built with injected capability that is able to show you result in a microsecond. In case you change the searching keyword, this Joomla search module will not let you wait a bit, instead show you the updated result instantly right in front of your eye. Isn't that smart? This Joomla smart search module highly reduces the difficulties and provides you a hassle free searching experience. The processing capability of this Joomla search module is so husky that user even can't feel it. So, no more waiting to find the thing you need, just write what you want and its next to your eyes instantly for the sake of its powerful mechanism. This Joomla smart search extension is undoubtedly the fastest searching procedure exists on the internet. ElasticSearch can effortlessly handle a huge amount of data and perform it's the tasks it's made for, without even a glitch. You have another exciting news; we partnered with them and now you can get all Joomla Geek's premium products at 20% discount rate using the coupon THEMEXPERT20. Support Amazon Elasticsearch and many more. ​Now, let's look over the supported components for ElasticSearch. How To Apply This To Your Website ? If you have a Joomla website with enough content then investing some $ on search is enough worth it. Just create a small instance on Amazon Elastic Search and purchase the JoomlaGeek Elasticsearch component and you are done. This will take your website search into a whole new level. The traffic that gathered from the organic search is the proven driver of the growth of business, isn't it? There is no doubt about this matter. Therefore, everyone wants to achieve better search rankings. But the only trouble is - Google is always changing the policies of their SEO. And you must not want to take down a penalty because of applying the wrong policies. Today, I am going to share ten proven ways to improve your Google ranking in 2016. One of the most efficient and essential marketing strategy is keyword research. It is the starting point of the marketing campaigns of any online business. You should understand the search query of your target audience that they are using to find you. Unless you know the search queries of your visitors, you'll find it difficult to improve your site's ranking. Google Keyword Planner, WordStream, WordTracker will help you to do your keyword research. These tools are free to use. There is no replacement for great content, and quality ones are the number one driver of your search engine rankings. Develop your contents that are usable, readable, and unique. Use the storytelling method, because in this way you can captivate your audience and try to start with a unique message that will resonate your audience. Those websites that stagnate and do not stay current will drop in the ranks. That is why you should update your site regularly with the new contents. If you are running a blogging website, try to write at least one blog per week. Avoid keyword spamming. 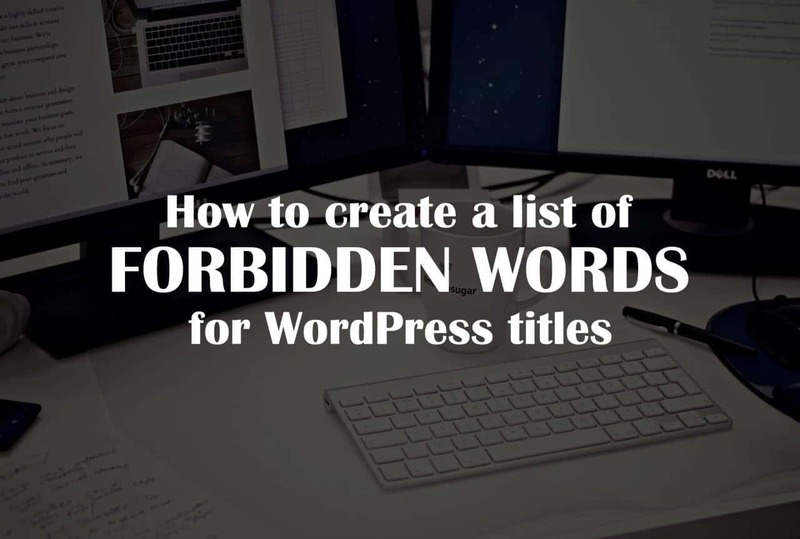 If you have made an idea to trick with the search engine by using the same words over and over and remain the text invisible, then that will be call keyword spamming. Don't do this, because your website may ban by Google for this kind of behaviors. Try to keep your keyword density at 2% or less and don't cross the limit of 3%. According to the report of Moz, the titles which start with the keyword perform better than the titles which contain the keyword at the end. The H1 tags in an article comprise as the second title that sends another relevancy signal to Google. So, be aware of this matter to keeping the keyword in your title and H1 tag. When people are coming to your site from another site, then the page rank will improve. But if the visitors originate from a place which is less popular then your site then there is a question about the ranking, because the page rank will improve when the viewers came from the more reputable site than yours. 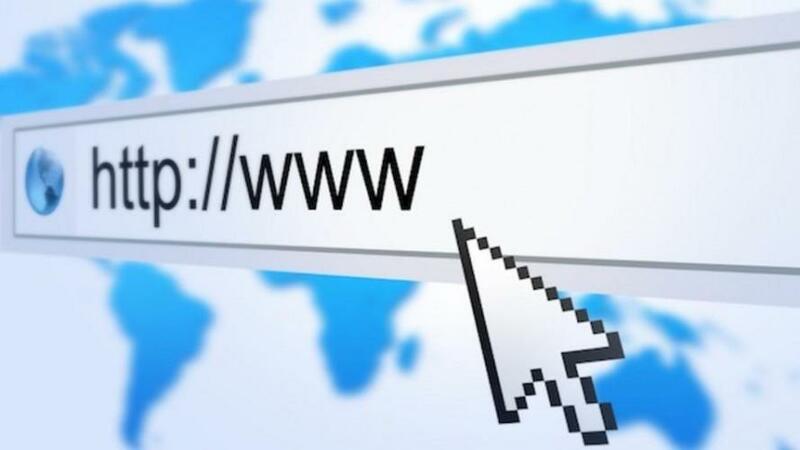 Quality backlinks can yield incredible results for your websites but for it, you need relevant links only. Google took the page loading speed issue into the account of their page ranking algorithm. So, you have understood that how much important the page load speed time is. On the other hand, visitors will abandon your site if they have to wait even just an extra few seconds for the page to load. Therefore, the bounce rate of your page will increase which could hurt your SEO ranking. Images send an important and relevancy signals to the search engine through their file name, alt text, title, description, and caption. You should add descriptive words that imprint it to each image and video that you have on your site. Testimonials are acting as social proof to potential customers. It will also increase your reputation and make visitors start to believe you and convert them your visitor to your clients. Usually, a company will jump at the opportunity to receive a testimonial from their customer who is satisfied and will be more than happy to link back to your website. The purpose of using a sitemap is to spell out the inner framework of your site both the search engine bot and the visitors of your site. The sitemap will inform the search engine immediately if any change has come on the site. Therefore, when you update your site with new content, the search engine will efficiently index it. The tips presented in this article shows you the basic steps that you need to start. By far doing all of this, you must want to see the progress of your work. Use Google Analytics - this is free and simple tools to install. It will provide the complete information of your visitors like how they arrive your site from which continent, which keyword engage them to reach you and which pages are scaring them off. Hope you will find this article helpful. Give us a shout if you want to know anything else through the comment section in below.